Since the financial crisis, getting made redundant has become all too common an event. Unemployment has been falling somewhat recently, but thousands of people are faced with the problem of meeting mortgage payments and servicing other debts after losing their job. While you may have every intention of returning to work as soon as possible, it’s amazing how quickly your finances can spiral out of control without any money coming in each month. From missed bill payments to interest charges on credit cards, getting out of debt can be extremely tough. The trick is not to panic and just keep trying to land a new job. In the meantime, here’s a look at a few options if you are made redundant. For most people being made redundant should mean a reduced income rather than none at all. With what money you do have coming in it’s vital to prioritise the most essential payments – mortgage, utility bills etc. If you have car finance, you’ll probably need to keep paying this as you’ll rely on your car for getting to interviews and for doing a new job. As soon as you’re made redundant, in addition to searching for a new job, you should find out what benefits you are entitled to. You might be surprised by how much you can receive, which could go a long way to alleviating money worries while on the job hunt. If you own your own home you may be entitled to mortgage support. For example Support for Mortgage Interest (SMI) Payments is a scheme that helps you keep paying the lender. You may be entitled to this if you are claiming one of the following benefits: income support, income based job seekers allowance or income related employment and support allowance. Payments will start 13 weeks after you claim benefit and are usually made direct to the lender. While earning, it’s easy to chalk up debts on overdrafts and credit cards and be able to keep servicing them. But once you’ve been made redundant it becomes a little trickier. If you think you will not be able to meet repayments, you may wish to consider debt consolidation. 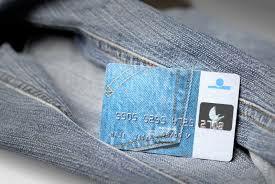 This allows you to pay off your existing unsecured debts and reduce payments into one affordable monthly outgoing. As long as you haven’t missed any of the payments your credit rating should not be affected. If you have outstanding credit card debts and overdrafts that need servicing while you look for work, a debt management plan can help. It is an informal arrangement between you and your creditors with the aim of reducing the level of debt and monthly repayments without the need for further credit. It’s very widely used and allows people to only repay what they can afford each month. As soon as you’re back in work you can up your repayments and clear the debts.